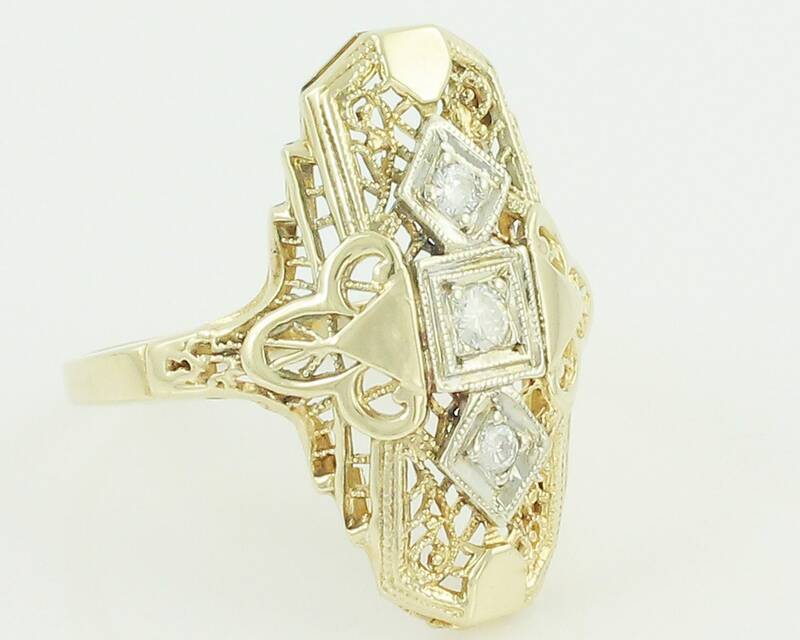 Vintage 10K Gold Filigree .20 CT Diamond Art Deco Style Ring. 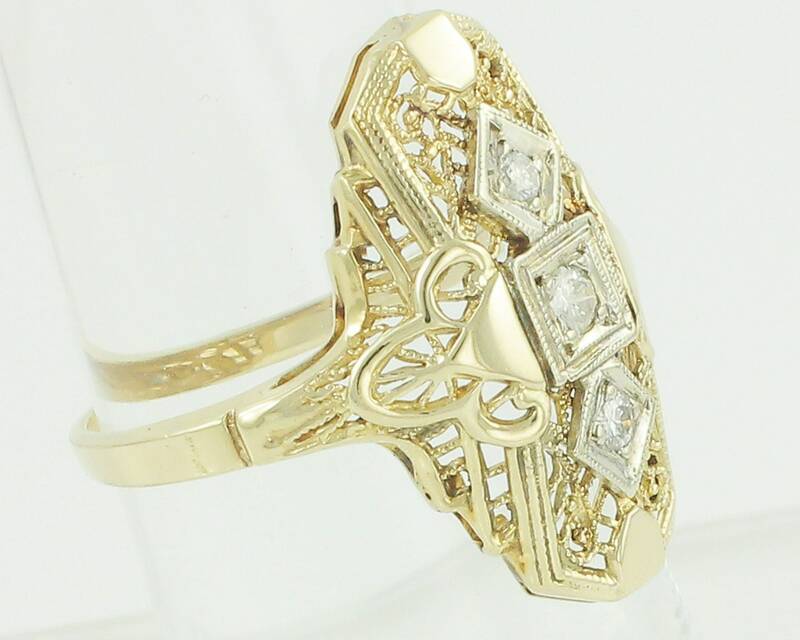 This filigree ring is a vintage reproduction made circa 1980 to emulate the Edwardian filigree rings of the 1910s - 1920s. 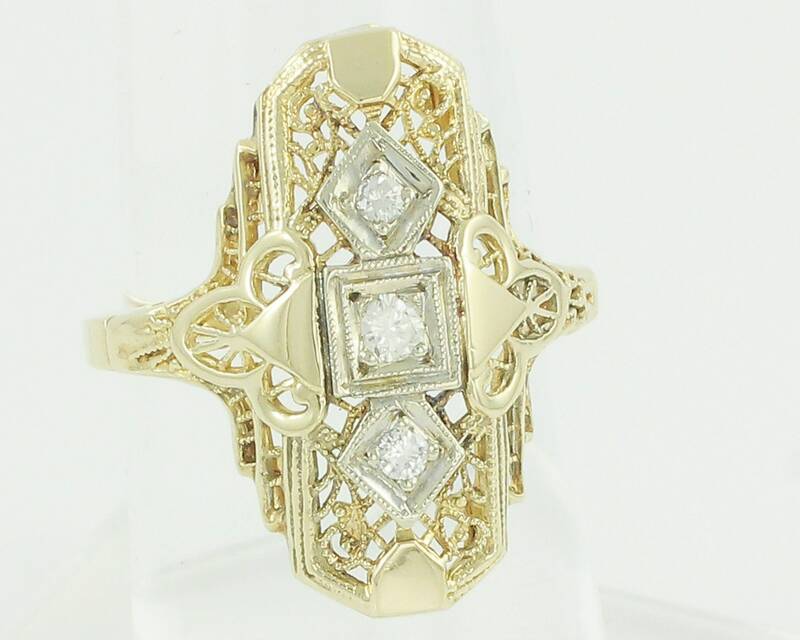 Beautifully detailed with lacy filigree openwork and three diamonds bead-set in white gold plates with milgrain detail. 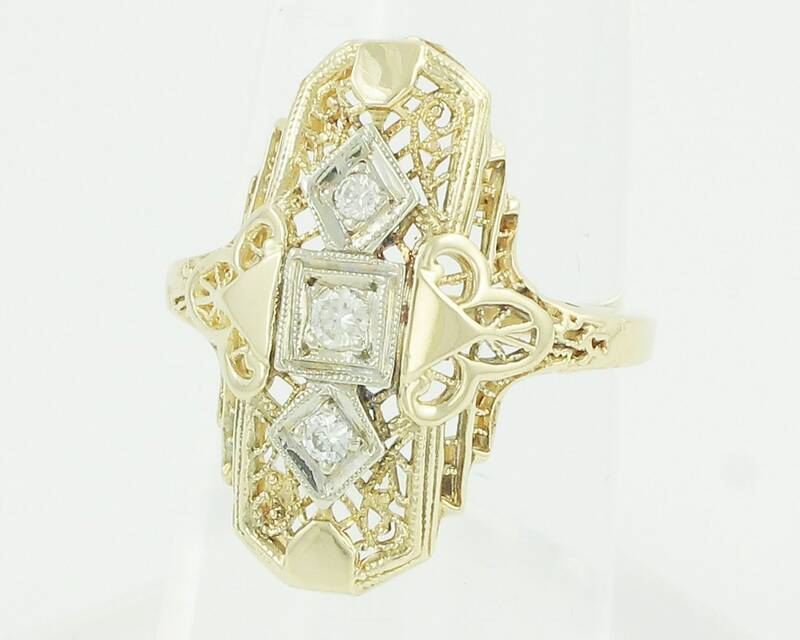 The estimated total stone weight, as estimated by measurement, is .20 carat. 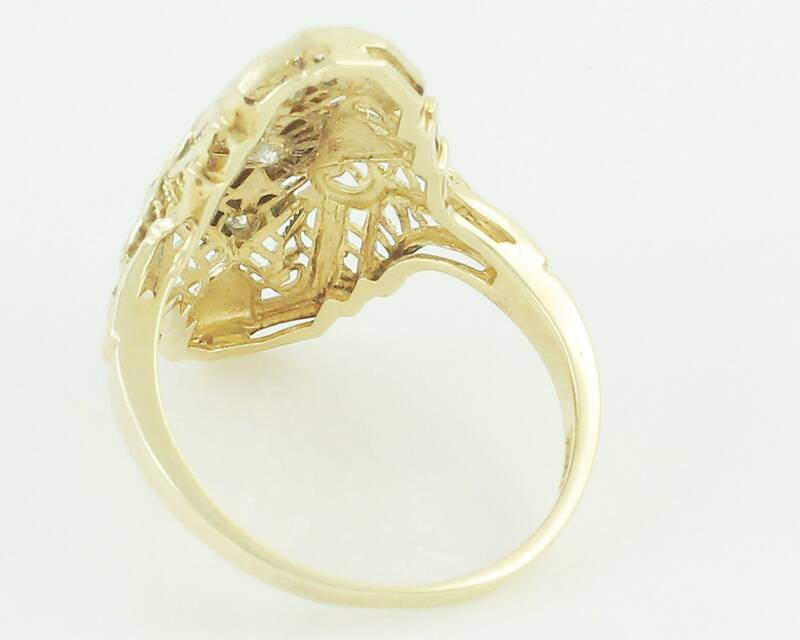 The ring measures 15mm x 22mm at the head. Shank measures 1.45 mm wide at the reverse. 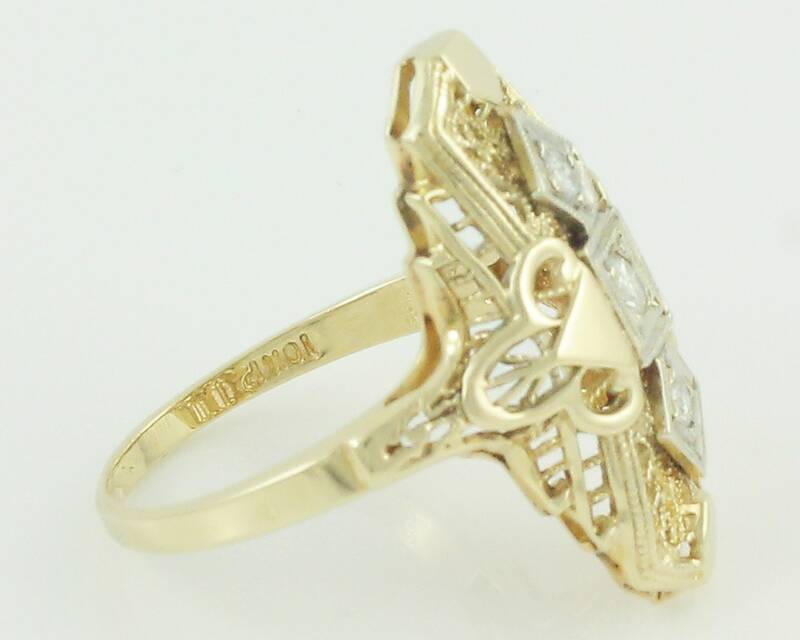 The ring is a size 6.25 and is stamped 10KP on the inside of the shank. CONDITION: In very good vintage condition, with very minor surface wear and no other damage of any sort noted.